You’ve Grown Them, Now How Are You Going to Kill Them? There are two kinds of sanctuaries used by mature bucks. The most common is the kind hunters create unknowingly. 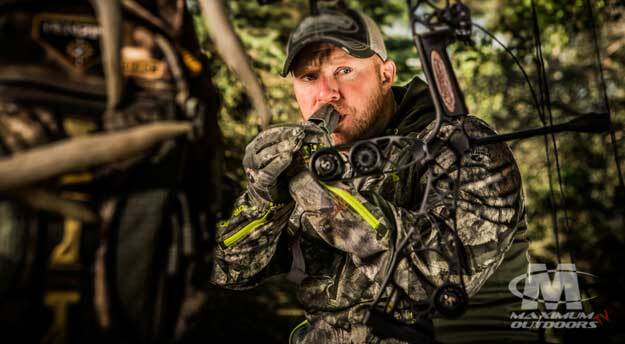 They are the places we don’t like to go because they are inconvenient, difficult to get into, or because we perceive some other place – like a food plot or a treestand where we had success in the past – is a better place to hunt. Bucks use these sanctuaries to avoid us, but because we don’t know they do, we can’t capitalize on them. The second kind of sanctuary is one we hunters actively designate. Bucks use these sanctuaries to avoid us, but because we know they do, we can capitalize. We can use designated sanctuaries to shelter immature bucks we don’t want to harvest but someone else might, to encourage these bucks to spend more time on our hunting land throughout their lives, to encourage mature bucks to use our land when regional hunting pressure intensifies, and to allow us to predict the movements of mature bucks so we can kill them. The concept of actively creating and managing sanctuaries has only recently emerged into the mainstream of hunting thought. Little, if any, scientific research has been aimed at the topic, but a few studies have indirectly provided answers to some of our questions. Among those are studies of adult bucks wearing GPS tracking collars at DuPont’s Chesapeake Farms research facility in Maryland. Data from GPS collars have allowed researchers to illuminate the home ranges of adult bucks – and the “core areas” within those home ranges – on a hunted property with mixed woodland and agriculture. Let’s start by trying to set some guidelines for size. Coming up with the perfect minimum or maximum size for an effective sanctuary that works in every corner of the whitetail’s range is impractical, because habitat, landforms, and land use practices vary widely. However, “seclusion” can be measured no matter where you hunt. Mark Conner also said that seclusion and density play into optimal size. “If you did get near a deer that was lying down in the sanctuary, and it could get up and be comfortable enough to lay down again within that same sanctuary, I think that’s a good thing,” he said. As an example, he cited the waterfowl sanctuary at Chesapeake Farms, which is about 25 acres in size. Because it is a relatively open patchwork of fields and woods, deer can be bumped completely out of the sanctuary by vehicles or hunters passing near. “But if you had 25 acres of impenetrable cover, I don’t think you could push them out,” he said. In other words, a small patch of dense cover may provide more effective sanctuary than a larger patch of more open cover. The advantage of multiple sanctuaries seems to be clearer when it comes to hunting strategy. For some hunters, property size is too small to allow for multiple sanctuaries, but in general, more is better. More sanctuaries allow a hunter to distribute hunting pressure more evenly across a property, and multiple set-ups will allow for hunting options no matter the wind direction. “I personally prefer to see sanctuaries scattered across a property,” said Bryan Kinkel. “I prefer more, smaller sanctuaries than one big sanctuary. First, I have noticed that most mature bucks are killed just outside these areas. The more sanctuaries you have, the more of these highly productive edges you have to hunt. And, Bryan added, if social friction between mature bucks is a factor at all, multiple sanctuaries may allow more mature bucks to spend more time on the same property. 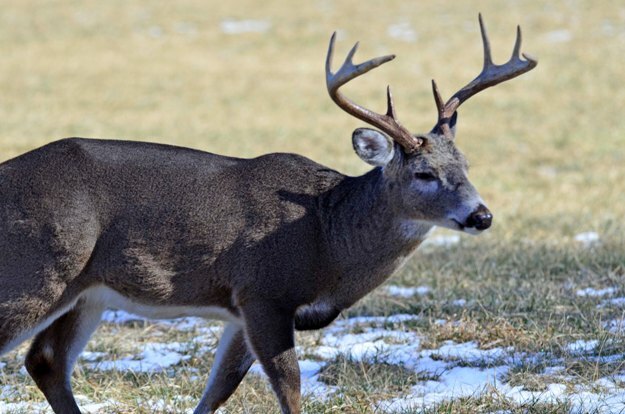 As a reality check, remember that no matter the number or size of protected sanctuaries you offer, not every mature buck in the area will gravitate toward your property. Of course, sanctuaries don’t always have to be created. 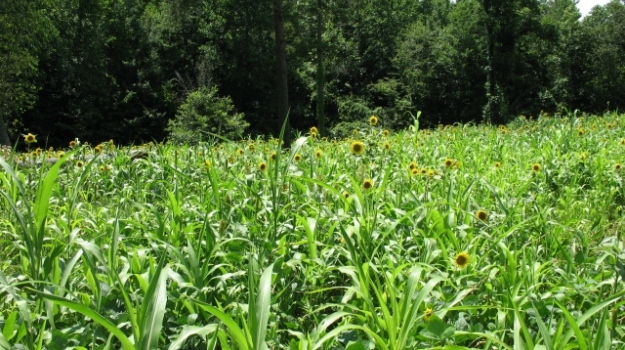 Existing natural sanctuaries should figure into your strategy. “The farm I hunt has a natural sanctuary that is a steep river bluff,” said Joe Lacefield . “There’s roughly 20 acres that no one goes in. By hunting just off that bluff and rattling, I’ve taken some pretty nice deer in multiple years. But it seems they really only go to that sanctuary area after there’s been quite a bit of pressure, after Kentucky’s youth and muzzleloader seasons when scouting for gun season has started. 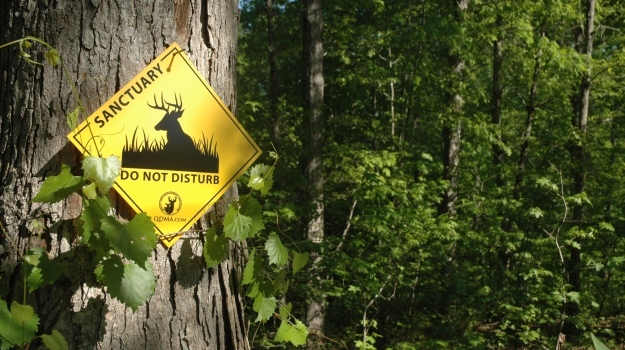 Any deer hunter can benefit from creating sanctuaries, and managers of small properties have the greatest need to incorporate low-pressure areas into their plan. Most deer hunters create sanctuaries already, they just don’t know it. A diligent effort to identify existing areas with light or no hunting pressure may reveal abundant sanctuaries. If not, they are easily created, and the guidelines presented here, combined with on-the-ground details where you hunt, will help determine the number, size, location and distribution that work for you. 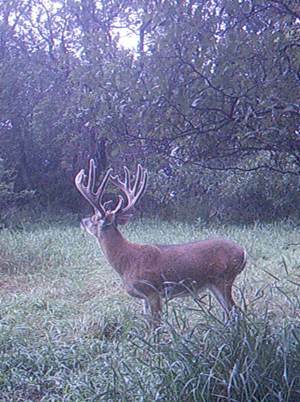 Efforts to improve, protect, and take advantage of these sanctuaries may rapidly increase your odds of seeing and harvesting mature bucks that use the land you hunt. 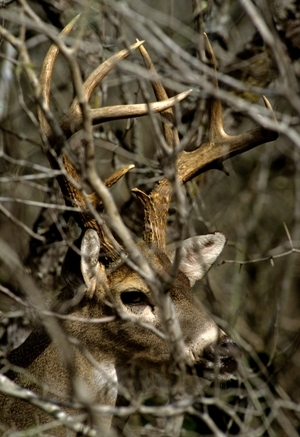 When deer hunting season is over and the camo is put away, another issue is in the forefront of a deer manager’s mind. Now comes to the time to grow plots that will provide the herd with the best food possible in order for them to obtain optimal health. Here at BioLogic, as we’ve mentioned earlier, we’re not only interested with producing more food for more wildlife and a better hunting experience for sportsmen. We’re also concerned about the entire hunting environment. Any time we have land we’re planning to hunt, first, we survey the property and determine which portion of the property should be a sanctuary. After we have our sanctuary set-up, we plant green fields and/or crop fields where we can take bucks going into or out of the sanctuary. 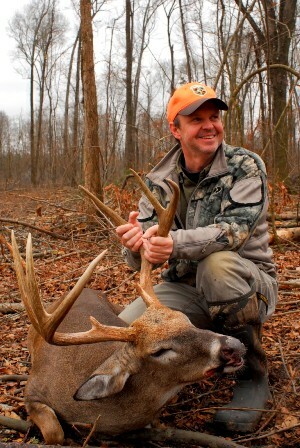 Sanctuary is the most-important factor in holding older-age-class deer.